Words and sentences are subjects of revision; paragraphs and whole compositions are subjects of prevision. Barrett Wendell was an American academic known for a series of textbooks including English Composition, studies of Cotton Mather and William Shakespeare, A Literary History of America, The France of Today, and The Traditions of European Literature. He was born in Boston, the son of Jacob and Mary Bertodi Wendell. He graduated from Harvard in the class of 1877 with Abbott Lawrence Lowell who was later a president of Harvard. In 1880 was appointed Instructor in English at Harvard. 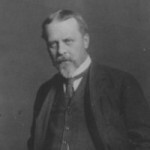 He later became an Assistant Professor of English from 1888 to 1898, and a Professor of English from 1898 to 1917, after which he was a professor emeritus. He was also elected to the Harvard Board of Overseers. He was a trustee of the Boston Athenaeum, a member of the Massachusetts Historical Society, and a Fellow of the American Academy of Arts and Sciences in 1916. He received honorary degrees from Harvard, Columbia University, and an LL.D. from the University of Strasbourg in France. He died in Boston.